Words are sweet, but they never take the place of food. Born in Brooklyn, NY , youngest in a tight family of 5, Chef Grace can say she was inspired by 2 things: the warm, soulful, and bright flavors of the cuisine of her parent’s native land of Nigeria and her family’s church. One connected her to her culture and the other connected her to her faith- The two most important things in her life and the building block for Dining With Grace. As the youngest in a busy entrepreneurial working family, Chef Grace often assisted her mother in preparing traditional dishes and even introduced her family to new “American” dishes. The Nigerian culture around food became one of her many entry points into developing a passion for her culture. As a child Chef Grace would also assist her small Brownsville, Brooklyn-based church in preparing dinners for the homeless and sheltered in her community. Although, the church was quite small, from a young age it was a loving memory of the effect of food being created and served with love. It was because of this experience that a quiet seed was planted on the idea of becoming a Chef. Years later, Chef Grace finished college with a degree in Economics and Political Science and entered the workforce in the Financial Services sector, forgetting the dreams of childhood. A wonderfully perfect birthday gift changed that. Her older sister, Gloria, purchased her a Certificate Program at The French Culinary Institute. This reignited an old flame and Chef Grace immersed herself in her passion for cooking. As fate would have it, soon after Grace was laid off from her Financial Service job after a huge reorganization of the bank, Dining With Grace was born the following year in 2010. Since then Chef Grace has continued to study in the fields of culinary arts, nutrition and African Studies and has worked with top-rated NYC caterers, restaurants, bakeries, and community organizations. 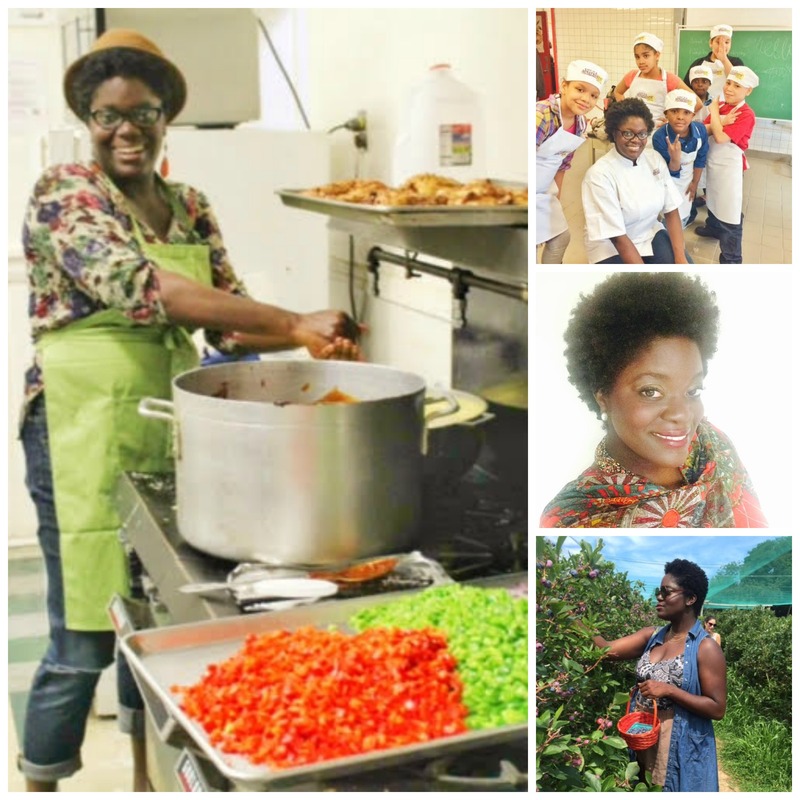 She teaches Nutritional Culinary Arts workshops in several Brooklyn Public Schools & city programs- introducing children and under-served communities to health and nutrition concepts in food. She has worked for various clients such as Lane Bryant, KPMG, Dow Jones, NYPD and more. She has been featured on the Cooking Channel with Sherri Shepherd and various news programs including WPIX 11 and Arise 360 Entertainment. She is the Founder of The African Table, a monthly pop-up dining series featuring regional cuisines & cultures of the African Diaspora in various art galleries and locations in NYC. The work she is most excited about is the Dining With Grace Banquet; a vision she had for years to provide an elegant and nurturing dining event for homeless families in NYC which had its inaugural event in August 2015. For more information or to have Chef Grace host a dinner, organize an outreach event, or speak on African cuisine, nutrition or entrepreneurship please do contact us at 877-241-2121 or by email.